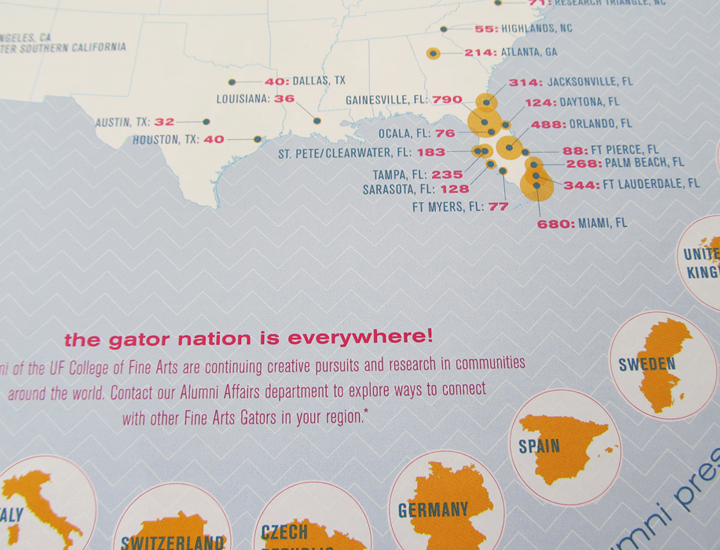 In collaboration with the Marketing and Alumni Affairs Department of the College of Fine Arts at the University of Florida, I designed an infographic with information about alumni location in the world, and how to stay connected with the college after graduating. 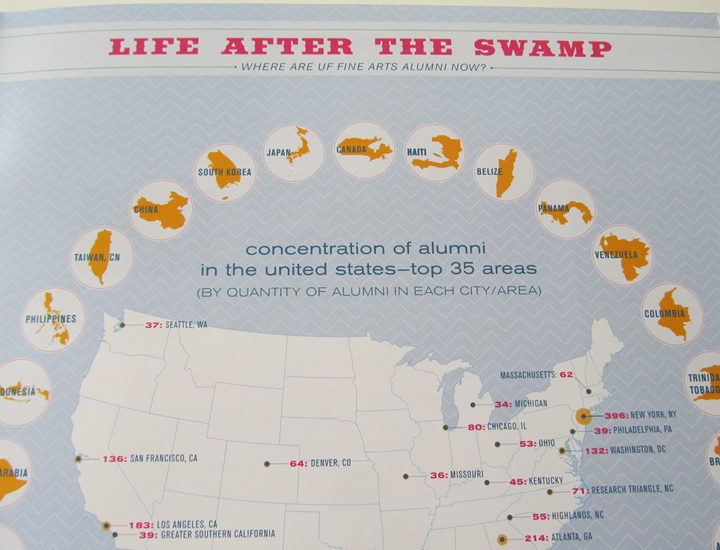 The main focus of this infographic is the distribution of alumni in the country. 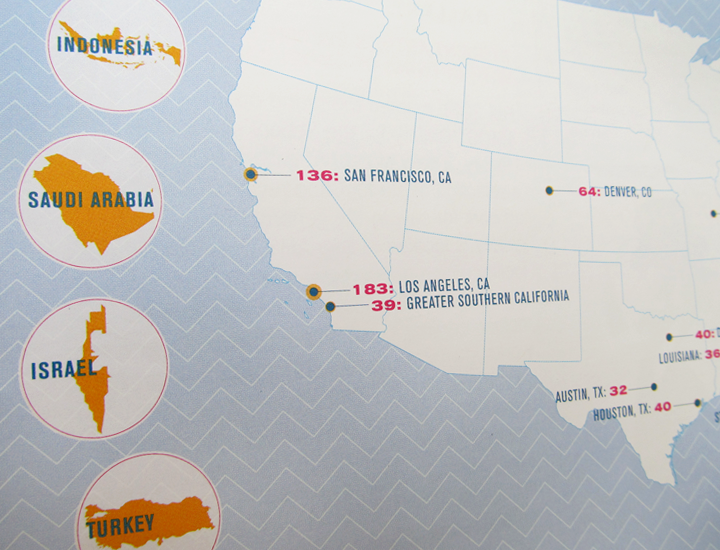 Small maps of countries where there is alumni presence surround the USA map, as a way to illustrate the reach of the college. 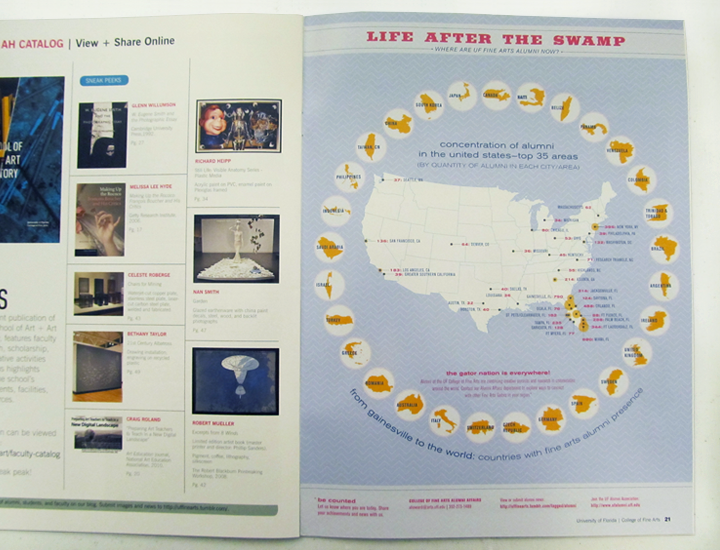 This piece was featured in the college’s annual magazine, Muse, released in January, 2012.